What is it like to tent camp...for months? Evan Smith: Why is the vote count so slow? A remarkable community called "Tent City 3"
Cromwell Park was dedicated on Monday, August 30, with a ribbon-cutting ceremony, dedication, and rock band. Over 200 people poured into the park. Uniformed teams played games in the playing fields, people walked the new trail, cheered the speakers, and speculated about how much rain it would take to fill the retention ponds. Children filled the playground and swarmed the new play equipment. Additions to the park include a new stage and grass amphitheatre, stormwater detention area with a bridge crossing, baseball and soccer field, basketball court, play area and swings. Other improvements include paved pathways, benches and picnic tables, open lawn and landscape beds, and storm water and wetland areas planted with native vegetation. The 1% for the Arts Program public art piece, Raintree by Kristin Tollefson, was installed in the center of Cromwell Park in the storm water detention area. 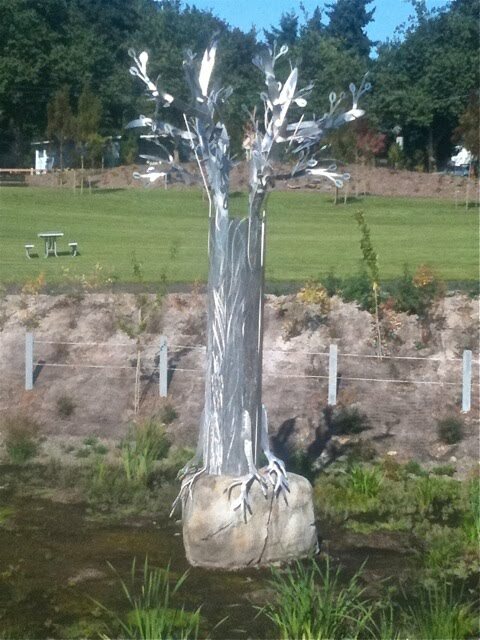 According to the artist, Raintree honors the setting and history of the site and takes its inspiration from the storm water and bog characteristics of the environment, while addressing rain as the source of the water. Raintree is fabricated out of metal highlighted with blue glass beads – durable materials that will respond to many kinds of ambient light. In May 2006, Shoreline voters approved a bond issue to acquire park property and improve parks throughout the community, including Cromwell Park. The City also wanted to improve water quality and detention in the headwaters of the Thornton Creek Basin, which begins upstream of Cromwell Park. The Cromwell project was jointly funded by the Park Bond and Shoreline’s Surface Water Utility to create much-needed recreational and storm water improvements. Republican candidate Gary Gagliardi says that he is preparing to unseat incumbent Democratic State Rep. Ruth Kagi in the November general election. In primary elections returns, Gagliardi has 36 percent of the vote to 56 percent for Kagi. Counties will certify results from the August 17 primary Wednesday. He said that his percentage of primary votes is lower than either David Baker’s or Art Coday’s because he is new to politics, because he was running against a well known opponent and because Kagi is the only Democrat without established opposition. Gagliardi said he would win “because voters want more jobs and less bureaucratic control of our community from Olympia,” adding that voters will get to know his history and see how his abilities fit our current, critical need to revitalize our economy and restore government accountability." Finally, he said that restoring prosperity and community control are not partisan issues. “Only prosperous communities who can control their own development can afford to take care of their people and protect our beautiful environment,” he said. According to Lake Forest Park police, the biggest complaint citizens have is about the speed of traffic and dangerous intersections, particularly on the state highways that run through the City. In response to these concerns, the City is installing a safety camera at NE 165th Street and Bothell Way. This camera will issue citations to cars that travel illegally through the red light at the intersection. Starting September 1, the system will issue warnings to violators. On October 1, 2010, the system will begin to issue a Notice of Infraction to the vehicles identified as going through the red light. Red light running is a problem. Not only will this new program help the Police enforce and educate the public regarding traffic laws, particularly when it comes to running red lights, but it will also help prevent loss of lives, injuries and property. The goal of the program is to reduce red light running violations, and increase the safety of pedestrians and vehicles in the intersection. This new program doesn’t change the current traffic enforcement - it adds to it. The red light cameras capture two images of the alleged violation. The first image shows the vehicle at the stop bar on a steady red signal, and the second image shows the vehicle’s progression through the intersection on the same red signal. Jane Poppe, who has served Lake Forest Park for 31 years, is retiring on September 10. Ms Poppe, a Lake Forest Park resident, will be retiring from her current position as Lake Forest Park Municipal Court Administrator. She has served in various positions for the city over her long career. Police Officer Greg Ward, a 10-year veteran of Lake Forest Park Police Department, has resigned to take up a new position in Afghanistan. The ShorelineAreaNews has carried several stories on Tent City, as well as following the progress of the VisionHouse:Jacob's Well housing project, and the Shoreline Compass Center for homeless veterans. We have looked at some of the agencies that serve the homeless and at-risk families such as HopeLink, the Center for Human Services, and just recently, the network NUHSA. Our NewsPartner, The Seattle Times, just published a regional look at homelessness: Invisible Families: The homeless you don't see. A Fundraiser Walk at Green Lake Park to benefit New Beginnings Children’s Services, Steps Against Domestic Violence-Seattle is raising awareness by walking around Green Lake, Sunday, October 3rd at 10am starting at the Aqua Theatre. 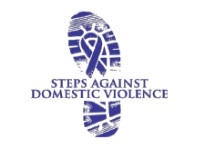 The walk will be in the honor of all victims and survivors of domestic violence. The goal of the event is to raise awareness that domestic violence is unacceptable in our society due to the harm it causes to not only the victims, but their children, family and friends. The proceeds of the walk will be given to New Beginnings Children Services. Last year the event raised $4500 and had over 200 participants with guest speaker Attorney General’s Policy Manager and Representation from Senator Jeanne Kohl-Welles. For more information about becoming a sponsor or a registration form please contact Shoreline resident and organizer Arthur Peach or call 206-412-3198. The Northshore Fire Department together with units from the Shoreline Fire Department responded to a residential structure fire in the 16200 block of 36th Ave NE in Lake Forest Park on Saturday, August 28. The first units were dispatched at 4:07 am and arrived to find fire on the interior and exterior of the structure. Firefighters immediately attacked the fire with a 2½-inch hose line while additional responders prepared for search and rescue. The fire was under control in approximately 20 minutes. Crews remained on scene until 7:30 am. The owner was at home when the fire started and had evacuated safely prior to arrival of the fire department. The King County Fire Investigation Unit responded to the call and together with Fire Marshal Jeff LaFlam determined the cause to be accidental. The fire started in the master bedroom and was caused by an unattended candle. There no were injuries reported. Damage was estimated at $200,000. The Categories are my creation, with some help from imdb.com. My occasional comments are in ( ). For all the rest, I am indebted to the citizens and visitors of Shoreline. 8-15…N 200/Ashworth. Report of juvenile illicit activity. 8-17…NW 193/17 NW. 3 drunk juveniles in the middle of the street. One had marijuana. Another was so intoxicated she was transported to Northwest Hospital. 8-19…345 NW RB Rd, Henry House. Mother found sexual text messages on son’s phone. 8-16…155xx Greenwood. Man lives with elderly mother and threatens to harm or kill her aid workers, including pointing a gun. 8-17…N 175/Aurora. Person was threatened on the 358 Metro bus. 8-18…1140 N 192, The Blakeley. Guy selling drugs out of apartment. (The Blakeley is senior living, so I assume the buyers had to be 55 or older). 8-23…NW 200/8 NW. Lied about having drug paraphernalia. 8-24…1524 N 200, Transit Center. Person making a scene. Arrested on warrants and drug paraphernalia. 8-23…1160 N 192, Echo Lake Apartments. Person reported bike stolen. Someone tried to sell it at a bike shop. 8-17…Shoreline Court. Guy went to court on a new charge and was arrested on outstanding felony warrant. 8-20…170xx 15 NW. Found guy running from carport. 8-21…18xx N 203. Man arrested on warrants. 8-21…12xx N 178. Man passed out in car from prescription drugs. Had warrant. 8-24…188xx Aurora. Traffic stop. Driver lied about identify, had felony warrant. 8-17…157xx 1 NE. Woman ran errands while teenaged sons slept. Burglars entered house through unlocked sliding door and took laptop. They were taking pictures of her house when she returned. 8-23…NE 149/30 NE. Two people sleeping in car. Vehicle had no plates, expired temporary tags, no bill of sale or registration. 8-20…5xx N 166. Fraud, ID theft. 8-22…155xx Westminster, Central Market. Person bought vitamins with a low numbered check, then tried to return them for cash. 8+24…1xx 203 NW. Elderly fraud abuse. 8-16…180xx 15 NE, Chateau Apts. Car vandalism. 8-20…15xx NE 175, apartments. Car prowl, Smash/grab. 8-23…20001 21 Pl NE, Ballinger Homes. Car vandalized. X scratched in paint. 8-17…171xx Dayton. Driving with suspended license. 8-19…N 195/Aurora. Driving with suspended license. 8-19…NE 175/5 NE. Traffic stop. Defective tail light, and reverse lights on while car moving forward. Driver had suspended license and no insurance. Car impounded. 8-20…N 175/Aurora. Driving with suspended license. 8-21…175xx Ashworth. Driving with suspended license. 8-23…171xx 15 NE. Traffic stop for equipment violation. Driving with suspended license and marijuana. 8-19…1232 N 185, 7-11. Guy pulled into parking space and nearly hit car next to him. Yelling ensued. Driver arrested for DUI. 8-20…175xx Meridian. Two drunk guys, one said he wanted to kill himself, taken to hospital for detox. 8-24…Police station. Person called 911 because they drank 16 beers. Requested detox. 8-24…14622 15 NE, Zaika’s Indian Cuisine. Guy drunk on the floor, refused to get up and leave. 8-18…20202 Ballinger, 24 Hr Fitness. Two guy fighting in parking lot damage a car. 8-23…145xx Fremont. Man visiting grandparents was attacked in their driveway by the neighbor’s pit bulls. No injuries but one of the dogs jumped on his back. 8-24…N182/Aurora, Darrell’s. Car vandalized by subject involved in unrelated arguments. Dents car with elbow. 8-25… 198xx 25 NE. Juvenile runaway. 8-16…1554 NE 145, 76 Gas. Shoplifted Energy Drink. Apprehended. Joint and razor blade in pocket. 8-19…25xx NE 200. Chain saw and blower stolen from locker on truck. 8-19…15332 Aurora, Safeway. Couple stole 5 bottles of champagne. 8-20…7xx NW 191 Pl. Burglarized unlocked house. 8-20…20010 Ballinger, Chevron. Two women stole 2 24 oz Mike’s Hard Lemonade. 8-21…147xx Wallingford. Attempted burglary, damage to screen door. 8-22…18xx N 147. Purse stolen from kitchen counter. 8-22…N 155/Aurora. Left cell phone on bus and someone is using it. 8-23…15xx NE 145. Female shoplifter flees Goodwill and runs into neighboring apartment where she was chased out by resident. 8-24…12xx N 205, Radio Shack. Stole digital camera and DVD player. 8-24…11xx NE 175. Attempted burglary. Unlocked deadbolt but not other two locks. 8-20…200xx 21 Pl NE, Ballinger Homes. Assist in removing child from home. 8-21…155xx 27 NE. Half-brother and sister get into physical fight. 8-24…30xx NE 147. Argument over who gets to hold the baby turns into a biting incident. Did you ever tent camp? We did a lot of it in campgrounds as our kids were growing up and it was great fun for our entire family. I miss the nightly fires, the trees overhead, the fresh smell. But how would you like to camp for two weeks, a month, 3 months behind green barriers back to back with other tenters while you struggled to work to earn enough to live in conventional housing? How would you enjoy a toilet stop in a sani-can? What about sharing a tent with 2-3 others? What if you could have only enough personal possessions that you could carry yourself? What if you had to rely on others for your food? These are part of the Tent City people's worries and concerns. Sorry my friends, but all the beds in the Seattle area are filled and all have waiting lists. Thank God for a tent city! With 24 hour security at the entrance and no one allowed in who doesn’t have an okay. They have a strict code of rules and you don’t get a second chance if you break them. Everyone living there must participate in weekly meetings and everyone has a job to do. The figures vary, but at least 25% of those who live there have outside jobs….maybe more at various times. In talking with a member of Calvin Presbyterian Church, my friend told me that having Tent City 3 was highly successful with a wonderful response from the community. When they were there in the winter, the church opened up the Fellowship Hall for sleeping as snow had fallen in our part of Seattle. Not a comfortable time to sleep in a tent! When they asked for 200 cookies for tent City, THEY GOT 2000! Asking for 15 pounds of potatoes got them 140 lbs! Another church member said, "It's such a blessing to have them." There were absolutely no negative comments. Are we lucky to live in Shoreline with these kinds of folks! YES! If you want to know what you can do to help while this group is part of our community, email Barbara Farden for suggestions. You'll feel good for doing any little bit for others. Patty Price is a volunteer with the Senior Center Thrift Shop who met up with Tent City when she helped deliver donated clothing from the Senior Center. The Hillwood Soccer Club is a non-profit, volunteer-run club which organizes soccer practices and games for children aged 5 through 18. 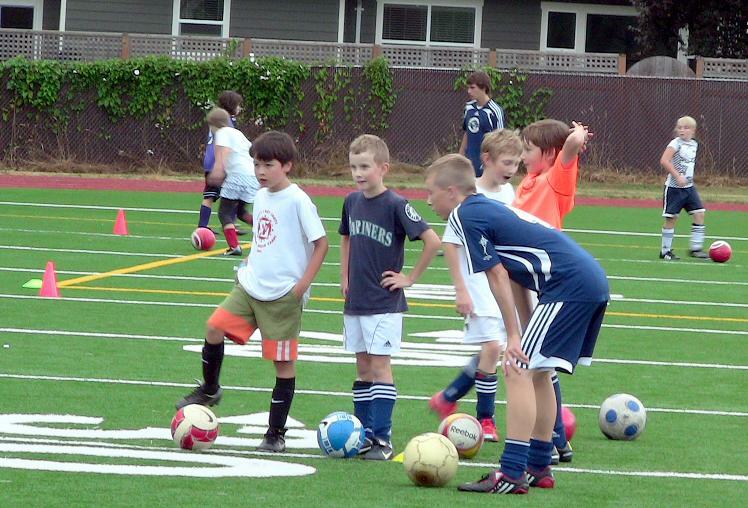 It is one of 13 clubs affiliated with Seattle Youth Soccer Association (SYSA). 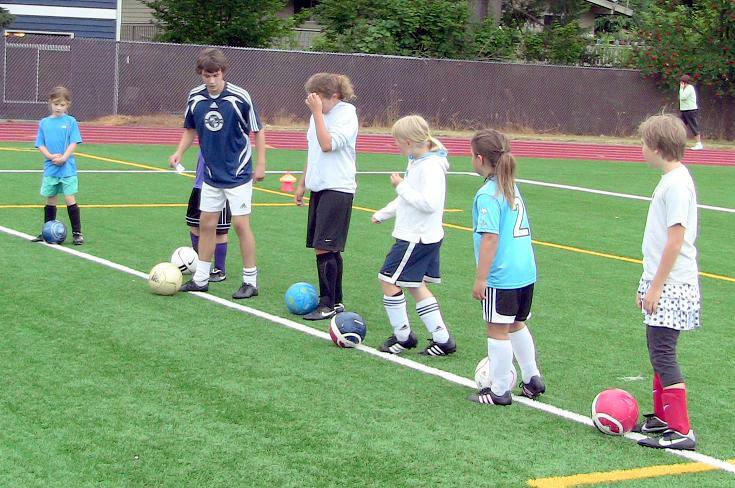 SYSA is affiliated with Washington State Youth Soccer Association. Our club boundaries are the western half of the city of Shoreline and we do allow players from the greater area of Shoreline, north Seattle, & Edmonds. Hillwood Soccer Club is dedicated to providing a safe and positive experience where children can learn the game of soccer, sportsmanship, and teamwork. A child's self-esteem, enjoyment, and knowledge of the game is more important than winning at the recreational level. Teams are usually formed on a neighborhood basis with children who attend the same school or live in the same neighborhood. When possible, this concept is continued as more players are added to a team. Boys and girls play on separate teams. Hillwood Soccer Club offers a variety of clinics to help build the skills of players as well as the coaches and referees. 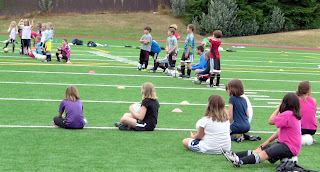 The pictures are from a 'Footskills' clinic. The goal is to learn a lot, but also to have fun as Hillwood is a recreational league. "We are all about our community and the kids" says one volunteer. For more information call 206-542-3353, email, or visit the website. Gabriel Phipps, convicted of strangling another man and pushing his body out of a car in South Seattle in August 2008, was sentenced Monday morning to 10 years in prison. A King County jury convicted Phipps of second-degree earlier this month at the end of his second trial. His first trial ended in a mistrial. On Aug. 28, 2008, Phipps pushed Gary Seaman's body from a car in South Seattle, according to charging papers. Police were called to the scene and found Seaman, 62, with a ligature around his neck, court papers said. 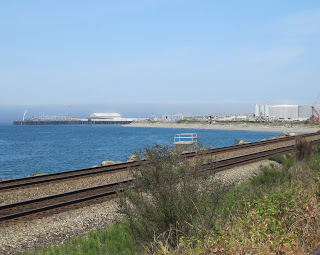 The developer of a proposed mixed-used community at Point Wells is holding a second public open house Thursday, September 23 at the Shoreline Conference Center as it shares information and seeks comments and input from the community about preliminary site design concepts. Hours for the September 23 event are 5 pm to 7:30 pm at the Shoreline Conference Center, 18560 1st Ave NE, Shoreline 98155. Developer BSRE Point Wells, LP has initiated a series of community gatherings and briefings following the ownership transfer of the 61-acre site from Paramount of Washington, LLC. The first, well attended open house was held July 27 at the Edmonds Conference Center. 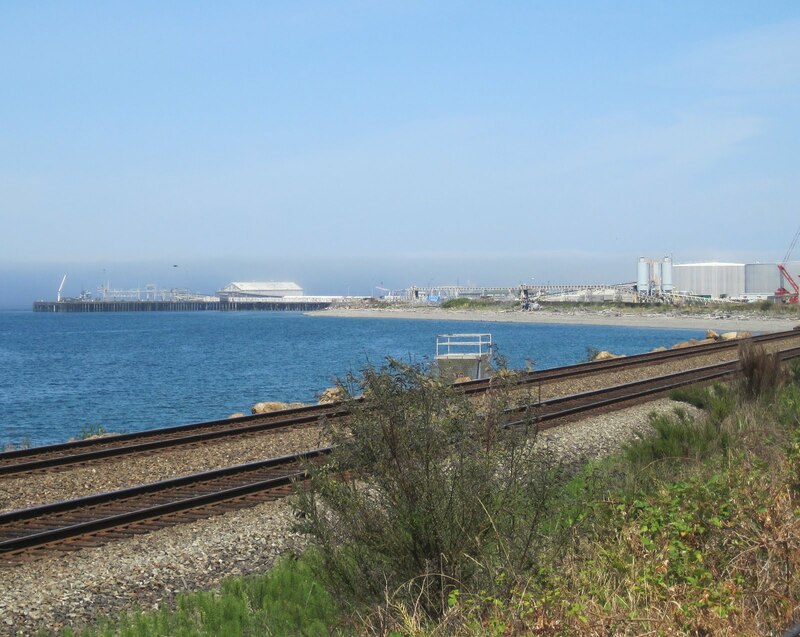 Point Wells currently hosts the marine fuels distribution center and asphalt facility of Paramount Petroleum Corporation and has no public access due to federal security restrictions. BSRE Point Wells is proposing a long-term shift from the property's current petroleum operations to development as an urban center under Snohomish County's new zoning code. Point Wells is located on Puget Sound in the Southwest corner of unincorporated Snohomish County. Preliminary plans under consideration would encompass multiple phases over 10-20 years, including demolition of existing structures, site remediation, new construction and habitat restoration. BSRE Point Wells is working with the internationally-recognized architecture firm of Perkins+Will to develop initial design concepts for the site. Perkins+Will principal Peter Busby will share insights into the on-going design process in presentations during the open house, and other members of the Point Wells project team will be on hand for questions and answers. With direction from BSRE Point Wells as well as community input, the project team is considering ways to protect and restore natural systems, conserve habitat and maximize open space at the site. Re-development would provide public access to the property's shoreline and beach, existing pier and newly-created amenities. BSRE Point Wells is also reviewing a wide range of options to reduce car trips to and from the proposed development including rail, buses, van pools, ride share programs and other modes of transportation. BSRE Point Wells is affiliated with Blue Square Real Estate Ltd., a major developer of real estate. Along with Paramount of Washington, the companies are holdings of the Alon Group, a company operating in the real estate, energy and retail sectors. BSRE is employing its extensive development resources for the proposed transformation of the site, according to Ze'ev Stein, Chief Executive Officer for Blue Square Real Estate. WHAT IS BLUES FOR FOOD FEST? - An all-ages all-day celebration of good food, good friends and good music, featuring some of the finest local blues bands. - A community party to raise awareness about hunger and the P-Patch gardens in Seattle that donate over 28,000 pounds of organic produce to people in need every year. WHY BLUES FOR FOOD FEST? Seattle’s P-Patch giving gardens, community farms and community fruit tree harvests donate close to 15 tons of fresh organic produce every year to local food banks, meals-on-wheels programs, transitional housing, and shelters for women and children. BLUES FOR FOOD FEST is a collaboration with the Washington Blues Society. Proceeds from the event will benefit the P-Patch Trust, local food banks and the WBS Musicians Relief Fund. Are you interested in keeping up with news, events and information from the Shoreline Fire Department? If so, become a friend of Shoreline Fire by clicking the “Like” tab next time you visit Shoreline Fire’s FaceBook page (Shoreline Fire Department). While Shoreline Fire maintains an informative website, a website does not provide the same speed and two-way potential as FaceBook does. A newsletter mailed to all residents, is static and one-way… and is relatively expensive in these challenging economic times. Granfors says social media is an economical, fast and efficient way to communicate directly with residents, and to keep tabs on what people want to know about the services Shoreline Fire provides. For instance, Shoreline Fire recently posted information about a water rescue drill and an Airlift Northwest helicopter landing that was ongoing. The post on Twitter and Facebook gave onlookers immediate information so they knew that there was not a major incident or tragedy affecting the community. The FaceBook page also has an area where visitors can ask questions about fire and emergency medical operations. It is called “Ask a Firefighter”, and can be used to quickly get an answer to things you’ve always wanted to know about fire and rescue work. In the event of a disaster or major incident, Shoreline Fire can quickly get information directly to residents involved, rather than solely relying on traditional broadcast and print media to relay important messages. If you have questions or comments about Shoreline Fire’s social media initiative, please contact Melanie Granfors at 206-349-7074, or via FaceBook, website or email. Sidewalk grading and streetlight base installation will begin on the south side of N 185th Street and at times may require a single lane closure eastbound on N 185th Street. The driveway to Bartell’s may be affected, so drivers should continue to utilize the entrance at Midvale Avenue. Crews have completed major pieces of construction work on N 185th Street including excavating, grading and paving. Thanks to everyone for their patience during the recent closure on N 185th Street. Crews will pave the north side of N 175th Street on Monday and Tuesday nights between 7:00 p.m. and 6:00 a.m. Driveways will be temporarily affected and drivers should follow the direction of flaggers. During the day, crews will continue forming and pouring curbs, installing root boxes, and preparing for driveway installation. To safely complete this work, a single westbound lane of N 175th Street will be closed between 9:00 a.m. and 3:00 p.m.
Crews will continue to install storm lines, utility vaults, and the joint utility trench (JUT) in City right-of-way on the west side of Aurora between N 165th and N 175th Streets. As usual, two lanes of traffic in each direction on Aurora will be maintained during this work. Crews will continue grading and pouring curb on Midvale Avenue, north of N 175th Street. A single lane closure will be necessary on Midvale between 7:00 a.m. and 5:00 p.m. to provide enough room to complete this work. The Interurban Trail adjacent to Midvale is closed between N 175th Street and the north driveway to Walgreens. Pedestrians and cyclists are asked to adhere to construction signage and use identified pedestrian pathways. N 170th Street on the west side of Aurora will be temporarily closed to complete utility work. This work will occur during the day and the street will reopen at night. Ronald Wastewater is installing underground pipe on Aurora between N 192nd and N 195th Streets, unrelated to the Aurora Corridor Project. They will temporarily close one northbound lane on Aurora from 7:00 a.m. to 1:00 p.m. through mid-October. The corridor looks different now that traffic has shifted to the east side of Aurora and crews are working on the west side. Construction hours are 8:00 a.m. Sunday through 5:00 p.m. Friday. There will be no construction on Saturdays. The North Urban Human Services Alliance (NUHSA) builds the community's capacity to respond to human service needs in North King County (Cities of Shoreline, Lake Forest Park, Kenmore, Bothell and Woodinville) through partnering with service providers, United Ways, county and local government, faith communities, and philanthropic organizations. Successful advocacy work NUHSA has engaged in has helped to pass funding for the King County Mental Health and Drug Dependency Action Plan and preservation of the Public Health Clinic serving North King County. Annually NUHSA recognizes major contributors in the communities they serve, whose efforts have helped to benefit low-income residents in North King County. NUHSA relies on membership fees to accomplish its annual goals. For more information, or to become a member, visit the NUHSA website or contact the Membership Committee. Nominate an outstanding individual, business or organization who has made exemplary feats in the progression of human services throughout North King County. The North Urban Human Service Alliance (NUHSA) is an alliance of City, County and State staff, non-profit human service providers, United Way, school districts, faith communities and concerned citizens. Their mission is to build the community's capacity to respond to human service needs in North King County, encompassing the Cities of Shoreline, Lake Forest Park, Kenmore, Bothell and Woodinville. Provide a strong voice and leadership role in local and regional human service decisions. Identify and communicate emerging community human service needs and issues. Support cooperation, coordination and collaboration among providers, funders and the community to enhance resources and the ability to respond to need in the community. Advocate for a continuum of care that increases access to services. Nominations can be made at the website. For questions, or to obtain a nomination form, email or call 206-675-2900. The award ceremony will be on Thursday, October 28 from 9 - 10:30 am at Third Place Commons at the Lake Forest Park Towne Centre, 17171 Bothell Way NE, Lake Forest Park 98155. The Lady Dolphin Volleyball Team opens their season on Wednesday against Northwest Indian College in the SCC Gym at 7 pm. The SCC Squad was 11-19 in the 2009 and 6-6 in the NWAACC Northern Region. Shoreline finished 4th in the region standings and qualified for the NWAACC Volleyball Championship for the first time in four years. The team went 0-2 at the NWAACC Championship, but beat the Community College of Spokane twice during the year and Spokane won the NWAACC Championship in 2009. The team is led by four sophomores from last year’s team as Lita Melino, Marina Lutsky, Natalie Kaltbrunner and Shelby Souther return to form the nucleus of the 2010 team. The team also includes 7 new freshman players to round out the squad. The match on Wednesday will be the first meeting between these two squads. Northwest Indian College is a four year institution from Bellingham, WA. Admission to the match is $5.00 for adults, $3.00 for students and SCC students are free with a valid SCC ID. The Categories are my creation, with some help from imdb.com. For all the rest, I am indebted to the citizens and visitors of LFP. 8-16…189xx 33 NE. Audible alarm, dining room motion sensor. No one home. Appears undisturbed. 8-16…200xx 32 NE. Called 911 instead of 411. 8-16…198xx 47 NE. False alarm, second in six months. 8-18…30xx NE 195 Ct. Alarm. Living room motion sensor. Two dogs in house. Appears secure. 8-19…178xx 40 NE. Alarm. Home-owner hit wrong button. 8-20…36xx NE 169. Alarm. Homeowner entered the code too late. 8-16…170xx Bothell. Bicyclist, no helmet or lights, riding down Bothell Way, drunk. Took him home. 8-18…173xx Beach Dr. Graffiti on dock. Found girl’s Huffy bike dumped in bushes. 8-18…NE 145/SR 522. Report of car going the wrong way on Bothell Way. 8-22…Ballinger/Bothell Wy. Rear-end accident. Drivers exchanged information. Later, one called the other, very excited, claiming information wasn’t good. Police went to the meet location to supervise. 8-16…174xx Ballinger. Found, pile of unopened mail in small park area on 178th/47th. 8-16…169xx 26 NE. Two girls, home alone, saw men in the back yard. Got scared, called mom. They were Snohomish County officers executing a search warrant on the neighboring house. 8-16…169xx 28 NE. Caller says there’s a guy on his property, running, hiding in the bushes. He’s from the house that was raided in the morning. Police search wooded area and find him when his cell phone rings. His girlfriend was calling him. Police know him, he has been arrested in LFP before. 8-16…169xx 26 NE. Second guy from morning raid spotted walking along 26th, shirtless, shoeless. Ran through briar patch toward Shoreline. Advise SL police. 8-16…174xx Ballinger. Mom upset that police chased a suspect through her yard when her 18 year old daughter was home. Felt police should have notified her or told her what was going on. She will speak to city council about it. 8-16…160xx 37 NE. Caller said someone was sleeping in a van in front of his house. Police found van, legally parked, no one in it. 8-16…Albertson’s. Shopper used fraudulent credit card. Police have video. 8-16…Towne Centre. Guy with stolen credit card trying to make purchases and get a $100 gift card. Police have video. 8-16…31xx NE 200. Fraud on bank account going back to June. 8-17…178xx 40 NE. Man called LFP resident, said he was a Social Security Agent and asked for personal information. 8-16…54xx NE 200 Pl. Residential fire, one occupant fled. Accidental cause. 8-16…Forest Park Dr NE/Ballinger. Driving with suspended license. 8-18…162xx 37 NE. Traffic accident. Hit & Run. 8-18…173xx Beach Dr NE. Report of abandoned car. Belongs to neighbor, parked safely. 8-18…40xx NE 178. Car prowl. 8-18…174xx Brookside Dr NE. Car prowl. 8-19…30xx NE 178. Car prowl. 8-20…165xx 41 NE. Guy ran over trash bins and garbage cans. 8-22…174xx Ballinger. Rear license plate stolen. 8-22…160xx 38 NE. Witness saw car drive by and passenger with a pipe break out the side mirror of a parked car. 8-18…Albertson’s. A drunk guy at Albertson’s knocked over a table of onions, then got upset when the cashier wouldn’t sell him beer. Went to gas station, bought beer. 8-21…195xx 38 NE. 911 hang-up. On call-back, woman first said she hit the wrong button, then told police her husband was drunk, they were fighting and she got worried. Police visited them, gave them Domestic Violence information and told them to go to bed. Listened outside 15 minutes, fight didn’t start up again. 8-17…Station. The daughter of the owner of a LFP-based (parking lot) striping company called to report their suspicion that one of their employees had been dealing drugs. After he was fired, they discovered 1000 text messages and contacts on his company phone, unrelated to business. Police explained that the crime was not related to LFP just because the business was based there. Her father (the owner) called back, very upset that police would not investigate. 8-17…145xx Bothell. Report of transient at bus stop acting strangely. Transient said he was ok.
8-18…Mall. Woman left wallet at Great Harvest. Two females said it was theirs and the employee gave it to them without verifying ownership. 8-21…40xx NE 178. Suspicious guy in Comcast uniform. Comcast employee. 8-17…182xx Ballinger. Sick raccoon on back deck. Told to call PAWS. 8-17…155xx 35 NE. Barking dog in back yard. Owners refused to identify themselves. 8-18…28xx NE 178. Dog escaped when owners opened doors for ventilation. Dog found and returned to owners. 8-20…Towne Centre. Two dogs left in car in sun; couldn’t find owner. 8-17…174xx Ballinger. Man does target practice in back yard with an air pressure gun. Neighbor told him to stop or she’d call the police. He was verifying that he was in the right. Police said to tell neighbor she should call 911 if she continues to have a problem. 8-18…37xx NE 165. BB or pellet shot through van window. 8-20…174xx Beach Dr NE. Neighbor shooting a gun in the back yard, looks like a rifle. He was trying to scare off geese with a BB gun. 8-18…50xx NE 178. Garage band. 8-20…40xx NE 197. Report of men shouting. Party in neighbor’s back yard. 8-21…30xx NE 205, group home. Resident got mad when told he couldn’t use the phone without a caretaker. Had a tantrum and looked like he was out of control. 8-22…184xx 40 Pl. Landlord and tenant yelling at each other. Both have lived on property in separate houses for 18 years. Landlord angry about the tenant’s garbage and mess. The landlord is hard of hearing and talks loudly anyway. Police calmed them. 8-19…148xx Bothell. Father in Kitsap asked for welfare check on daughter. Concerned about her boyfriend. Daughter no longer lives at that address. 8-20…Towne Centre, Sally’s. Two women stole hair color and ran from store. 8-18…36xx NE 155, apartments. Woman wants help getting her husband to leave. They have a new baby, lots of stress, and they were arguing.